This project is focused on revitalizing and restoring homes to families in our neighborhood, preserving these properties for affordable housing. It began with a purchase of 213 housing units in fall of 2017, something unprecedented in ICCF’s long history. And we’re not done yet. On November 21, 2018, ICCF closed on what is by far the largest real estate transaction we have ever completed – 213 homes, previously owned by one out-of-state investment firm managing them to provide above-average return to investors. All of them are now being repurposed by ICCF to assure their continued availability and affordability for low and moderate income households. This is not something ICCF has done on its own. This was a community effort, including strong financial backing and leadership by key local foundations who provided nearly $10 million in grants and investment. 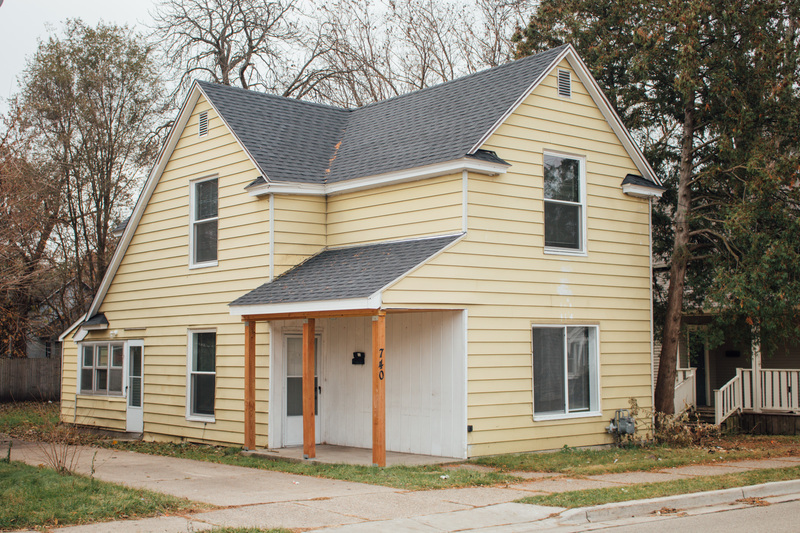 We also were blessed with enthusiastic support from the cities of Grand Rapids and Wyoming, as well as other area nonprofit housing organizations. The acquisition of these 213 housing units, as mentioned above, will preserve affordable rental rates and provide new homeownership opportunities for low and moderate income families and individuals. Partnering with other local housing nonprofits to assure 50 % of the homes are sold to low and moderate income households within 5-10 years. Ensuring current tenants who desire to purchase their home, have the opportunity to do so. Investing $4.5 million to improve the properties with special attention to increasing energy efficiency and environmental stability of the homes, with 75% of the properties meeting the Green Home Institute’s standards for Green Star Certification. Hiring local contractors who are committed to employing low income residents of the neighborhoods in which the homes are located. Creating green, energy-efficient homes through a grant from the Wege Foundation. Pray for families and individuals who are experiencing homelessness or whose housing is at risk; for those whose housing is inadequate and who long for a home that fits their family’s needs; for those who feel locked into circumstances which offer them no hope; for ICCF and others who seek to provide affordable options and services to help people cope, grow, and thrive. 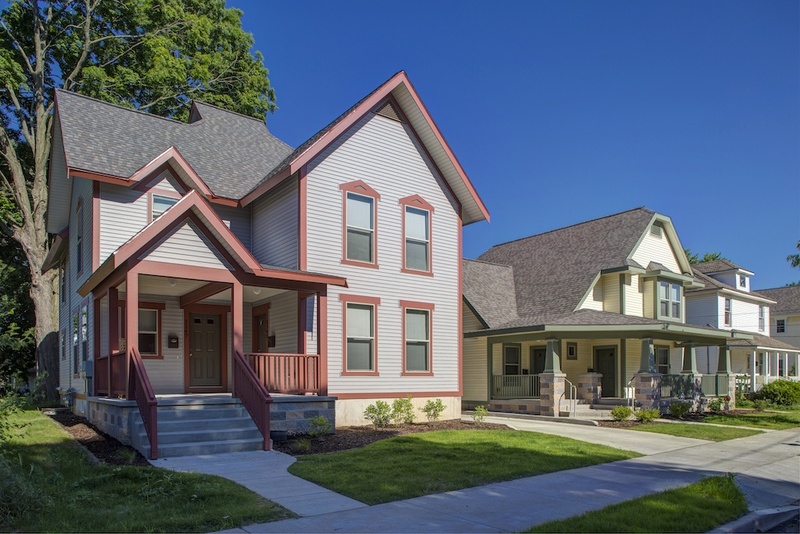 Volunteer Help us beautify affordable housing in Grand Rapids! We have opportunities for volunteer groups, associations, businesses, and churches to help with spring cleanup, landscaping, and shed-building. For more information contact kbrower@iccf.org. If construction professionals or suppliers are members of your church, you can Sponsor a Home. For more information on sponsoring a Community Home, contact Michelle Covington at mcovington@iccf.org. Give Your financial contribution is critical in this new day when dramatically rising rents and home prices are creating enormous challenges for those of our neighbors living in poverty and those whose limited incomes are simply not enough. Make a secure, tax-deductible gift here.